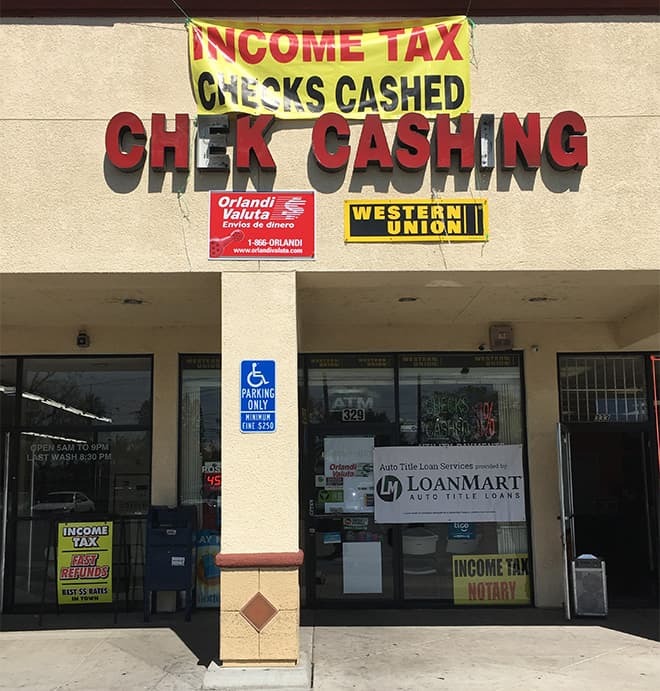 This Store is conveniently located on E Gladstone St near the corner of S Azusa Ave in a small strip mall next to Boost Mobile. Foothill Transit bus line #280 has a stop in front of this location at Azusa and Gladstone N. Check their website for more details. This location neighbors Boost Mobile, Taco King, Cycle Gear, and Family Dollar. Have money troubles been keeping you awake at night? Not sure how you’re going to be able to cover a recent unanticipated expense? If you’re in a situation in which you need funds quickly, consider an auto title loan in Azusa. Residents of Azusa and the surrounding area may apply for auto title loans any day of the week with LoanMart. Based on factors like your qualifying vehicle’s equity and your ability to make regular monthly payments on time, you may qualify to borrow up to $30,0001 in as little as a single business day3 without the hassle and wait of a traditional bank loan. Also, it’s completely FREE to apply! Let LoanMart help you get the money you need. Apply for an auto title loan in Azusa today! LoanMart’s made it as easy as possible to get started, just call their toll-free number to apply over the phone with an experienced LoanMart agent. You may also use their secure website to submit an information request form via computer, smartphone or tablet! Traditional lenders often reject those people with poor credit, even if their needs are justifiable. Unlike traditional lenders, LoanMart looks at multiple criteria to determine qualification for an auto title loan in Azusa, such as your qualifying vehicle’s equity and your ability to make consistent, on-time monthly payments. Don’t let a less-than-perfect credit history prevent you from getting the money you need. And even after you qualify, there’s no pressure or obligation to proceed at any point. It’s your decision, and LoanMart will be there every step of the way. Once approved, your agent will talk to you about your title loan and how to get your check, courtesy of LoanMart and EZ Title Loans!